This article is intended to show you how easy it is to delete and clear WhatsApp chats on Android, iPhone and Windows devices in just a few simple steps. 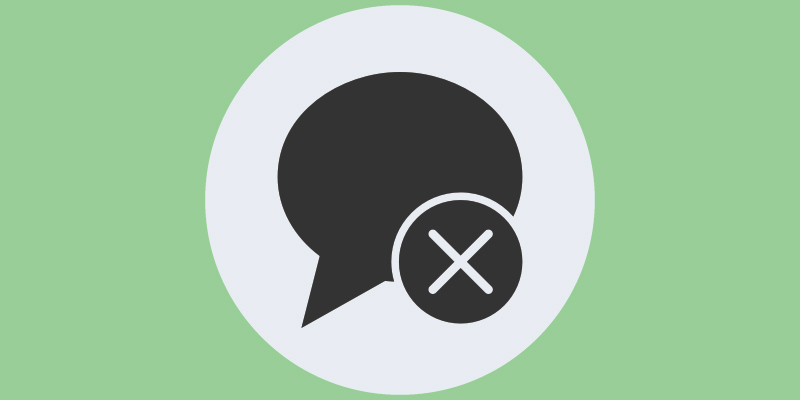 You might notice there are all kinds of reasons why it is important to permanently delete conversations on WhatsApp, whether they are current, archived, or group texts we no longer want to have. While WhatsApp can mimic a journal of life’s events, sometimes these events can be traumatic or troubling to keep around. I should remind you that deleting conversations is not a surefire solution to ward of those wanting to spy on your phone. Spy software, such as mSpy can allow someone to read text messages from a phone even if it has gotten deleted. With that being said, I can show you how to get rid of these conversation in a few quick steps. You can review all of the options available to your on Android and Apple devices, also using the WhatsApp website directly. Bear in mind, however, your laptop or computer screen is most likely of these solutions to be seen by other people. When you delete a chat, it removes the entire thread and record of that conversation from the list. Clearing a chat removes all messages within the thread, but keeps the chat itself active. From the chats tab, long press the chat you wish to delete. To delete a group chat, you first have to leave the group. Open the chats tab and long press the chat you want to delete. Tap on Menu, then choose to Exit Group, and then confirm. Go to the Chats tab, tap on the Menu button, then Settings, then Chats, and finally Chat History. Select Delete All Chats, which will eliminate all individual chats and status updates. Group texts will still be visible, and you will have to manually delete these following the steps above. Open the Chats tab and then open the chat thread you want to clear. Select Menu, then More, and finally Clear Chat. From the Chats tab choose Menu, then Settings, then Chats and finally Chat History. From the Chats tab, swipe left on the chat you want to delete. Tap More, then Delete Chat, and then confirm your choice. Enter the Chats tab, tap on Edit in the top left corner, select the chat to delete and then choose the delete option in the bottom right corner. You must leave a group before its chat can be deleted. From the Chats tab, swipe left on the group chat to delete. Tap More, then Exit Group, and confirm your choice. Return to the Chats tab and swipe left on this conversation again, Delete Group, and confirm this choice. Go to WhatsApp setttings, then Chats, then choose Delete All Chats. Enter your phone number and then again tap to Delete All Chats. This will delete all individual chats, but it will not remove group chats until you follow the steps above to delete them manually. From the Chats tab, swipe left on the conversation to clear. Tap More, and then select to Clear Chat. You will have to enter your phone number and then choose to clear all chats again. (This will clear all chat content, but not the chat threads themselves). Tap on Delete, and then confirm your selection. Again, you need to leave the group before you can delete a thread like this. From the Chats tab, long press the conversation you want to delete. Select to Exit the group and confirm your choice. Long press this conversation a second time. Select Delete, and then confirm your selection. From the Chats tab, select More, then Settings, and finally Chats and Calls. Tap Delete All, and then confirm your choice. From the Chats tab, open the chat you want to clear. , and then the individual contact info or group info for the chat. Tap More again, then Clear Chat, then Delete All Messages. From Chats tab, choose More, then Settings, and finally Chats and Calls. Select Clear All, then Clear All Messages. (This will clear all messages in every chat, but these chats will still be active in the tab). From a desktop or laptop, navigate to the WhatsApp website. Here you can click on a single conversation or group chat that you want to delete. Open up this chat and click the three dots found in the top right corner. You can see an option here to “Clear Chat” and Delete the Entire Conversation. Or, you can opt to simply delete the messages of the thread and keep the chat itself active. I certainly hope that these instructions were easy to follow and that you have deleted or cleared the chats that you wanted to by following the steps above. If you have the need to delete contacts from your WhatsApp account, I can also show you how to do that easily.